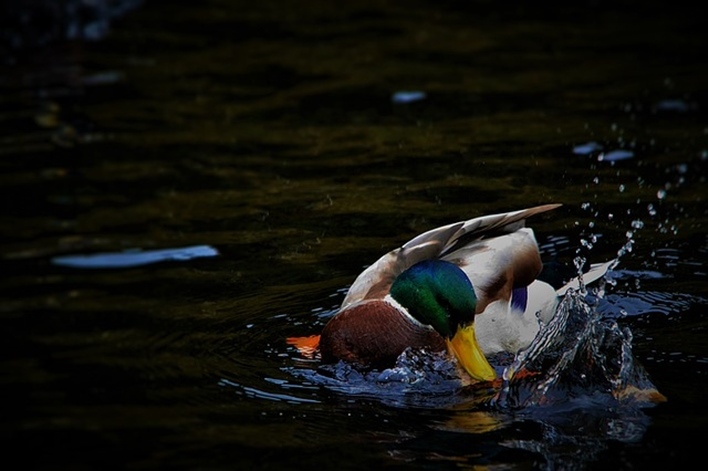 Make feathered friends during your visit to the Gudavi Bird Sanctuary. Located Shimoga district (in the Soraba Taluk) in the State of Karnataka, this sanctuary is at a distance of 16 kms from the Sorab town. 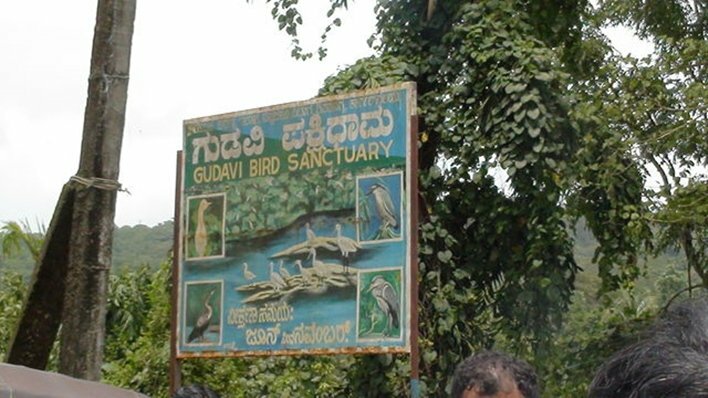 It is by far one of the best bird sanctuaries in Karnataka. Ideal for bird watching and nature lovers, this sanctuary is very picturesque and a delight to visit. The bird sanctuary has an area of 0.74 sq. kms. The Gudvi Lake surrounds the sanctuary with the trees on its banks; it makes for a beautiful sight in the months of monsoon. The small lake is filled with water throughout the rainy season. 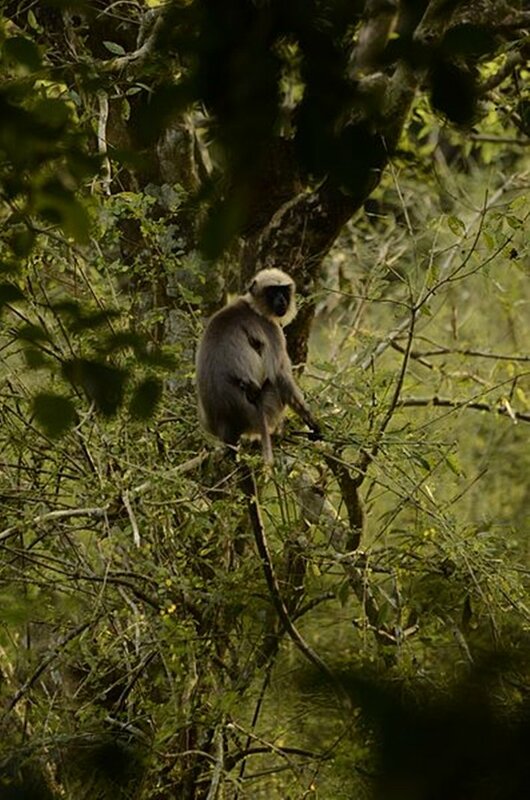 As per a survey, there were 217 species of flora and fauna, belonging to 48 families in the bird sanctuary. 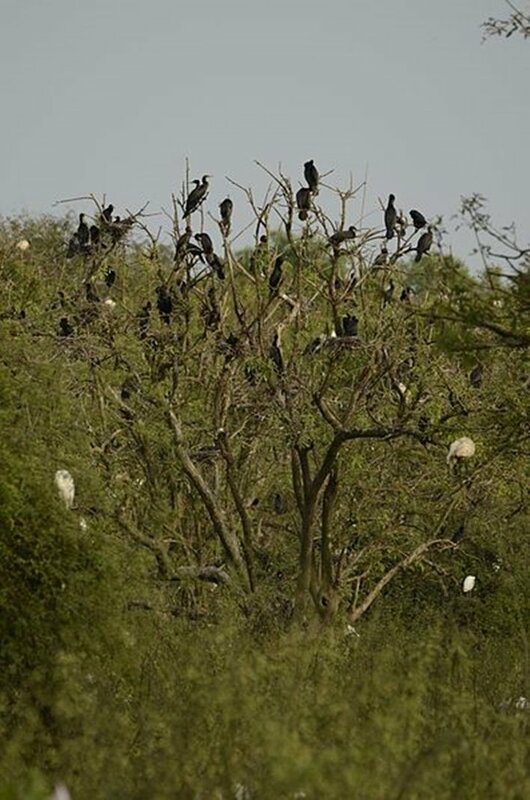 A variety of birds migrate to Gudavi for breeding in the months of monsoon, which makes the period of monsoon, that is, from June to December, an ideal period for a visit. The trees and the natural lake give shelter to these birds. Various species migrate from across the World to the Gudavi Bird Sanctuary. A special platform is built for the bird watchers to have a closer look at the birds. There is no facility for accommodation at the sanctuary. The wide variety of birds includes Little Cormorant, Night Heron, Grey Heron, Waterfowl, Indian Shag, Bittern, White Headed Crane, Junglefowl, White Ibis, Indian Pond Hero, Black-Headed Crane, Pariah Kite, Little Grebe, Darter, Brahminy Kite and many more. 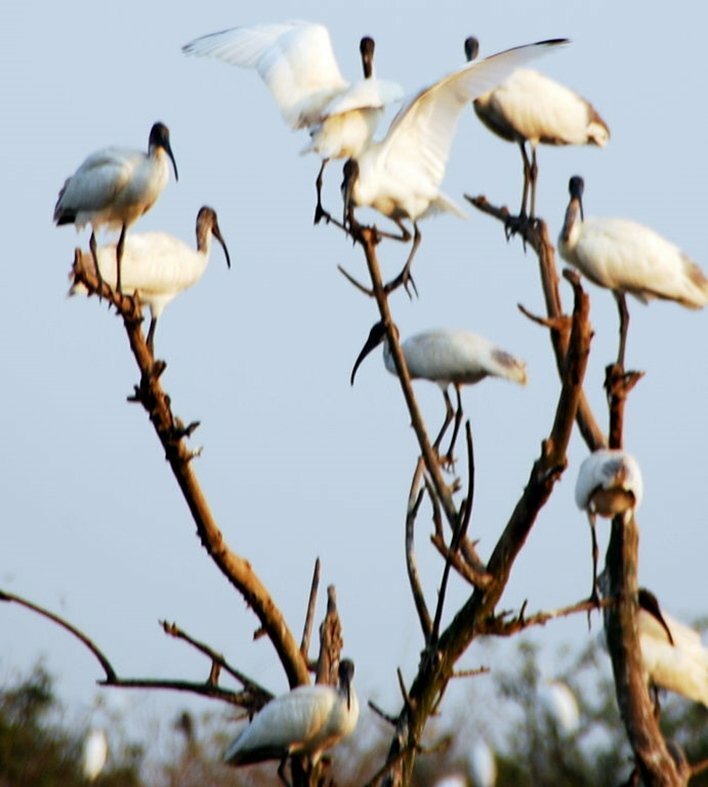 The best time to visit the Gudavi Bird Sanctuary is from June to October. The monsoon period is the ideal season for a visit. Hubli is the closest airport to Soraba. It is at a distance of 165kms from Soraba. Other airports include Mangalore at 250 kms and Bangalore at 340 kms. The nearest railhead is at Shimoga which is well connected by regular trains to Bangalore and Mysore. Gudavi is at a distance of 60 kms from the main town of Sagara. Sagara lies on NH 206 towards Bangalore. Distance from Sagara towards Bangalore is 355 kms and can be covered in six to 7 hours. There are various buses plying between the two cities. Sagara can also be reached from Mangalore as well as Udipi.